Pull Up Banners have become the next “must have” for any business. Pull up banners are light-weight, portable and assemble in seconds, and with a huge area to get your message across, pull-up banners are another cost effective method for displaying your information. Our pull up banners are made here in Perth, and are printed in crisp, high resolution, plus we always laminate each banner face to ensure it’s protected from not just the elements, but also inquisitive fingers as well. 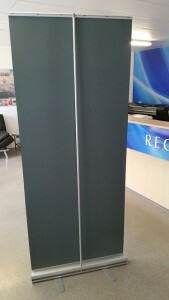 With a heavy duty base and two swing out feet, our pull up banners are designed to last, and because Banners Perth makes them right here in Perth, you can be assured that you’re getting a top quality product and not a cheap Chinese imitation. Why not put Banners Perth’s pull up banners to the test? You’ll find our prices are reasonable, our service is excellent and our turnaround is fast. If pull up banners are what you need, then head to the Banners Perth contact page and enquire today! This entry was posted in Pull Up Banners and tagged Pull Up Banners Perth, Roll Up Banners Perth by Banners Perth Staff. Bookmark the permalink. I am enquiring what the price of two of these Pull Up Banners would be? We are after 2 x pull up banners for a conference in November. These will be for inside use only. Can you provide a quotation please for a Pull Up Banner. Say 800mm wide by 2000mm tall or about that. Printed with base as illustrated in your website. I can pick up in Perth. 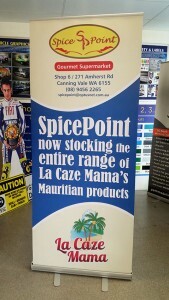 Would like to know how much it would cost to produce an 850 x 2000 pull up banner. I’d also like to know the final artwork deadline for this if it needs to be delivered to the Perth CBD by Wednesday 7 November. Please also let me know the cost and timeline options for the fast turnaround service.